The time has come to draw a few conclusions from my time in Tokyo (Read part one here, and part two here!). In this post, I’ll be sharing my thoughts about access in the city for those with impairments. I’ll also be asking how Tokyo and Japan will cope with hosting the Rugby World Cup in 2019 and the Olympic and Paralympic Games the year after. Firstly, a disclaimer – What follows are simply my opinions based on two short visits to Tokyo, what I’ve learned through my conversations with colleagues and what I’ve read in the media as an interested party. Next, i’ll be giving my thoughts, not just about “physical access” but also about “attitudinal access” (I elaborate about this in a previous blog entitled, “Access (Some) Areas: http://andybarrow.co.uk/access-some-areas/). Finally, I’ll be talking only in controllables, so I won’t be touching on things that can’t be changed like weather, topography or language barriers. Is Tokyo more physically accessible than London? A tricky one but, for me, yes! Despite the compact nature of many buildings and fewer accessible hotel rooms, I believe it’s physically easier to get into and navigate the city of Tokyo. I often choose to “make do” in terms of selecting accommodation and I’ve already stated that my wheelchair gives me a big advantage in compact spaces. Getting help up a step or even being lifted into a place is not ideal, but I, personally, am ok with it. However, one area where I can’t make do is getting around. Being able to move freely through a major city using public transport is a huge benefit, so the Metro really is the clincher for me here. If you need a fully accessible hotel room and that all-important floor space, you may not feel the same. 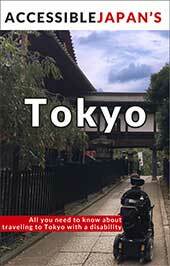 Is Tokyo more attitudinally accessible than London? No, but things are changing. From what I saw, London is a little further along than Tokyo in this regard. Remember, I’m just comparing the two cities, not the countries or cultures as a whole. I also want to be clear again that this is simply my opinion. I think this debate centres around diversity because this wider topic informs access in terms of attitudes towards disability. London is one of the most diverse cities in the world for a multitude of reasons. The sheer amount of “difference” represented in London’s population demographic, is at level that Tokyo can’t replicate. There are many reasons for this, but a key one is geography. Japan is simply way more isolated than the UK (Until, that is, RWC2019 and Tokyo 2020 roll around). The reason I feel the relative lack of diversity in Tokyo compared to London is important, is because it means that the general public are just less exposed to everyday scenarios involving people with disabilities. This can potentially be damaging because it can lead to situations where people may prefer to not acknowledge a person with a disability, rather than risk not doing the “right thing”. This is more important for people with disabilities who live in Japan, than to me as a visitor. The only thing that will help break down any remnants of these invisible barriers is more exposure to everyday scenarios involving PWDs. I can tell you now that back-to-back world sporting events will provide the scenarios in abundance! How will the city of Tokyo and the rest of Japan fare during RWC2019 and the Olympic and Paralympic Games? As well as any host ever has! Let’s be real, hosting any world event is a huge undertaking and a logistical nightmare. 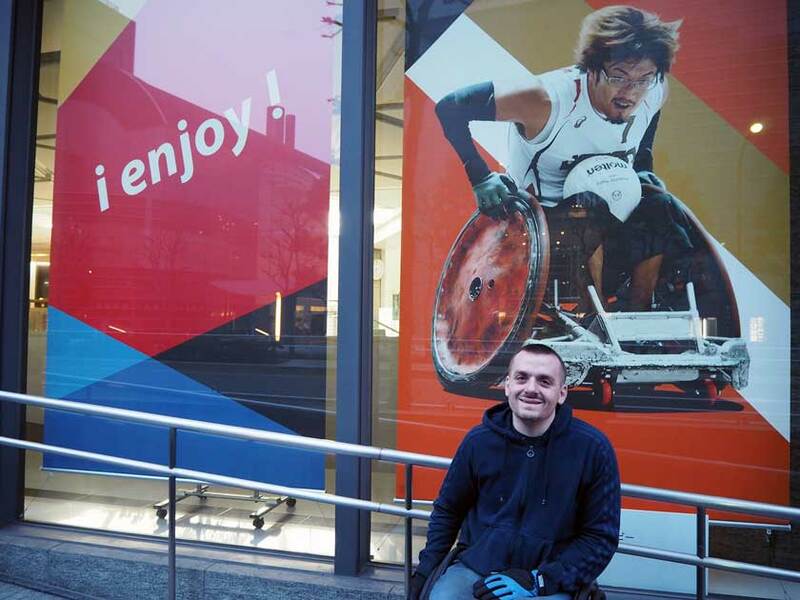 There is no doubt that Japan and Tokyo will struggle with the huge influx of visitors in 2019/2020 and people with disabilities will be no exception. Accessible accommodation will be at a premium, both in availability and price. You’ll need to do your research and book early. Journeys on public transport will be difficult because of the crowds. Trains will be very tough to board in busy times and assistance services will be stretched. An increased amount of disabled passengers may also lead to long queues for lifts in and out of stations. A bigger problem may arise outside of Tokyo. 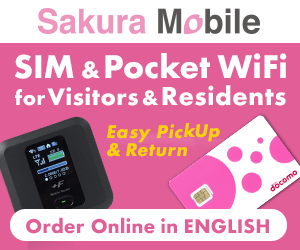 Will other cities around Japan have the infrastructure to cope with increased fan traffic for rugby matches during the Rugby World Cup and football matches during the Olympics? Obviously, Tokyo will have had huge investment in its infrastructure but other areas, comparatively, may not. Despite everything that I’ve written about above, this will be an AMAZING time to be in Japan. As somebody who has attended two Rugby World Cups and been intimately involved in multiple Paralympic Games, I can tell you that the experience is like nothing else. Even as a competitor, I felt a pang of jealousy on the bus to and from the village, when I witnessed all the spectators bustling along together in a carnival atmosphere. I have no doubt that all three events will be planned and executed to an incredibly high standard. Yes, undoubtedly, things will still go wrong. My advice when this happens – Just smile and go with it! There will be thousands of volunteers happy to help out of any situation, not to mention the Japanese public, who will fully embrace their role as hosts. 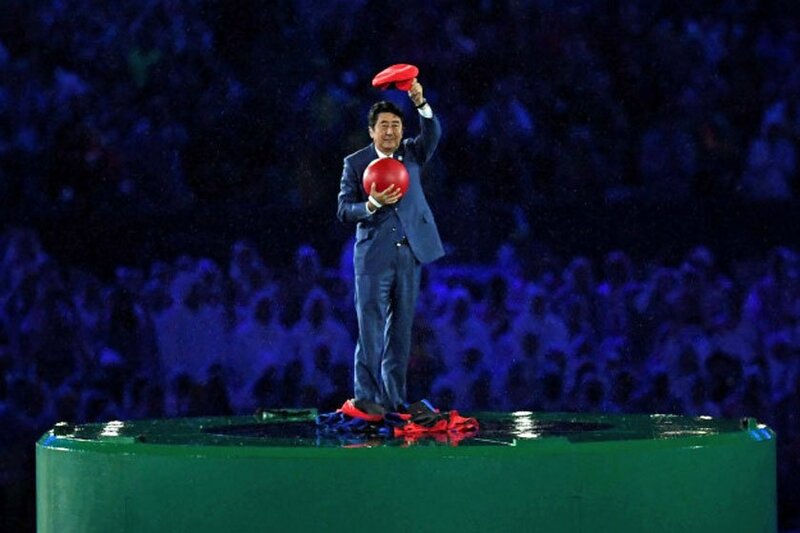 The mixture of meticulous planning and a tiny streak fabulous quirkiness (who can forget Shinzo Abe emerging from a pipe dressed as Mario during the Rio 2016 closing ceremony!) will be a recipe for one of the greatest Games ever! If you have any chance to get there, take it. I know I’ll be trying to! What legacy will these events leave behind? Although the focus of the world is on the Rugby World Cup and Olympics/Paralympics right now, the events themselves are temporary and will quickly fade to pleasant memories. Far more important and tangible, will be the legacy that these events will leave. The real benefits of this legacy in terms of access, inclusion and social mobility will only become apparent long after the final strands of ticker tape have been swept from the Olympic Stadium. I could write several entire pieces on legacy alone and I may well do that at some point, but not in this series. For the purposes of this blog, I just want to wrap up by touching on a couple of things that I already know. Britain and Japan’s collaboration is ongoing. Exactly what legacy the London Games left is still hotly debated, but as I said above, I won’t be commenting on that here. I do know that the Tokyo organising committee has worked tirelessly to analyse and learn from 2012. Tokyo has learned from London’s mistakes. I was lucky enough to visit this fantastic place where all the various Paralympic NGBs are centralised under one roof. 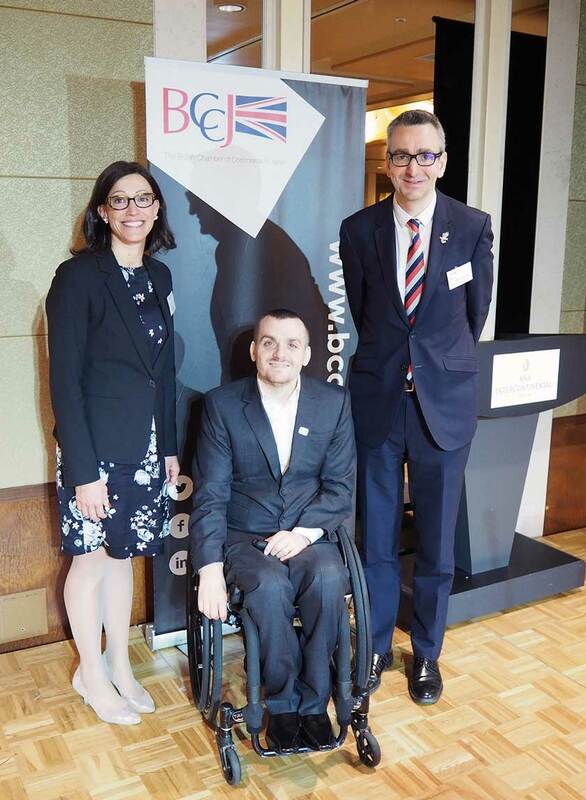 This pooling of resources has lead to a much more joined up approach in the marketing and delivery of Para Sports at a grass-roots level in Japan. The staff at the support centre have also been instrumental in developing a schools programme and other great initiatives to raise awareness ahead of 2019/20. This in turn will lead to sustained interventions afterwards. Japan is dressing its shop window. 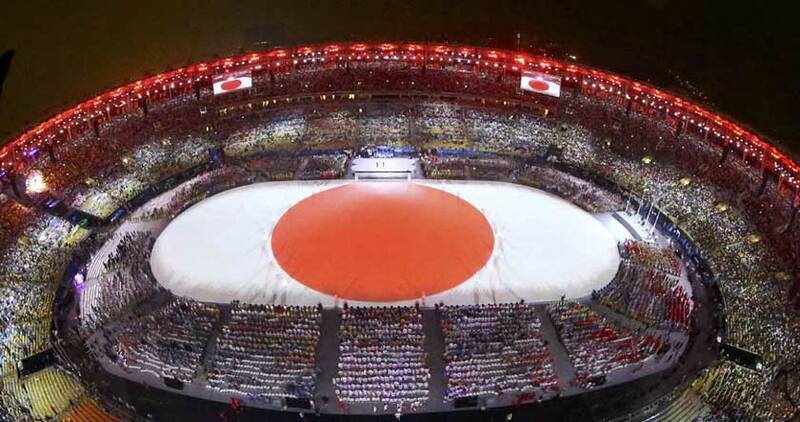 Japan knows it will become the centre of the sporting universe in just a few months time. It also knows that while sport is important, it is a small piece of a much bigger picture. Around the world, Japan is using its platform as hosts to throw its doors wide open and show the world everything that it has to offer. Just this week, I met with Minister Shinichi Iida at the Japanese Embassy in London to learn about the exciting “Japan House” project: https://www.japanhouse.jp/en/what/ – A celebration of all aspects of Japanese culture. 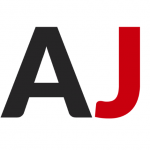 There will be exhibition centres in London, Sao Paulo, and Los Angeles showcasing Japan to the international community. Even before a try has been scored or a race has been run, Japan and especially Tokyo will have become far more physically accessible. There will be more accessible hotel rooms, transport links will improve and ramps will appear where they were absent before. These improvements will not only benefit PWDs. They will increase the quality of life for the huge amount of parents with buggies and the vast ageing population whose needs are now similar to those with disabilities whether they care to admit it or not. During these events, the Japanese public will experience unprecedented levels of diversity. Encounters with people from different races, religions, cultures and abilities will increase a thousand-fold. With each and every one of these encounters, learning will take place, confidence will grow and new habits and behaviours will be formed. All of this will take place against a backdrop of immense national pride as the world looks on. Finally, after everything is done and everyone has gone home, things will return to normal. Except, normal won’t be the same as it was. It won’t be immediately obvious, but changes will have taken place. These will be “attitudinal” changes and if fostered, they will give rise to a far greater advancement in accessibility than any physical changes could ever bring. Andy Barrow is an international speaker, Triple Paralympian, and 3 time European Gold Medalist for Wheelchair Rugby. Since retiring as an athlete, Andy has worked as an athlete mentor for the Dame Kelly Holmes Trust and Sporting Champions as well as creating or collaborating on several mentoring projects including his hugely successful 3 Cs Challenge. Andy now regularly speaks to corporate audiences about performance and has recently taken his projects international, where he specializes in creating bespoke itineraries for schools and organisations. Read more about Andy’s work on his website – http://andybarrow.co.uk/ – and follow him on Twitter @AndyBarrow2012!